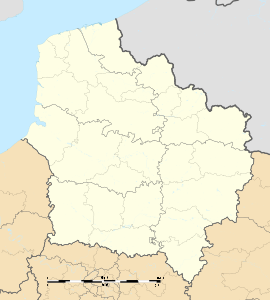 Tortequesne is a commune in the Pas-de-Calais department in the Hauts-de-France region of France. Tortequesne is surrounded by lakes and marshland, 13 miles (20.9 km) east of Arras, at the junction of the D43 and D956 roads and on the border with the department of Nord. Wikimedia Commons has media related to Tortequesne. This page was last edited on 18 January 2018, at 02:01 (UTC).